Nearly everyday of my work experience I’d sit outside in the sunshine with my little packed lunch. (Transported around in the Little Brown Bag). As wonderful as Pret is, there really is no desperate need to spend £4.95 on a salad. I’ve managed to tear myself away and now I only go in there for a couple of minutes to steal their Wi-Fi. 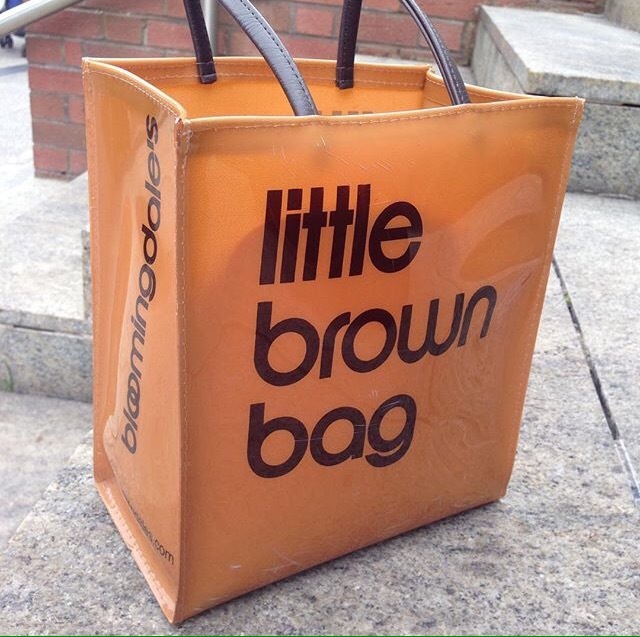 I’ve been asked twice now whether I got the Little Brown Bag in Bloomingdales in New York. Well yes, yes I did, back when I had the freedom to travel and explore new cities, all very fun and spontaneous. Now I use it for sandwiches. I love most bookstores. But I now have a real soft spot for one particular Waterstones where I’d go on my lunch hour after devouring the contents of the Little Brown Bag. The upstairs is beautiful. – A wide open stair case and a grand dome shaped ceiling with a number of inviting chairs. I now have my own armchair. Sort of. It’s not named after me or anything, it’s just the chair I always plonk myself on. Perfectly situated on the edge of the room, in the minute little Art section; there weren’t streams of people walking past so I had a real feeling of calm sitting in this chair, I could have sat there all day. * I could have SLEPT there all day. That’s the one. “I’m going to miss the train…Nah not if I walk fast. Did I forget my charger? Nah it’s in here…Do I need to go food shopping tonight? Maybe just some fishcakes and salad.. *hello to passing dog walker* Am I enjoying this work experience?..Do I want to be a journalist?…I know I could be a good teacher…Should I train as a teacher or journalist…Teachers have better holidays. Journalists get to interview people…Maybe I’ll do that art course..I’ll keep working on my portfolio..Should I still audition for drama school?..It’s not realistic. I need a steady income..I need a job where I can be there to pick Maia up from school ..How much is an after school club…Maybe I should be a nanny so I can be there for Maia after school…I wonder if Dad could take her to school…*move out of oncoming cyclist’s path* Does Maia have too much sugar?..I wonder how much she has compared to others…Should I cut out bread?..I’ll try it…How am I sweating after ten minutes?…Should I break into a run now?”. 60,000 thoughts a day, and that’s only a sprinkle. All of this on a seemingly quiet, brisk twenty minute walk to the train station. I wonder if I look pained from the outside. However, at regular intervals, I was somehow able to stop the crazy, silence the chatter and simply LOOK AROUND. Take in my surroundings. Actually BE there. I’m getting better at it too. 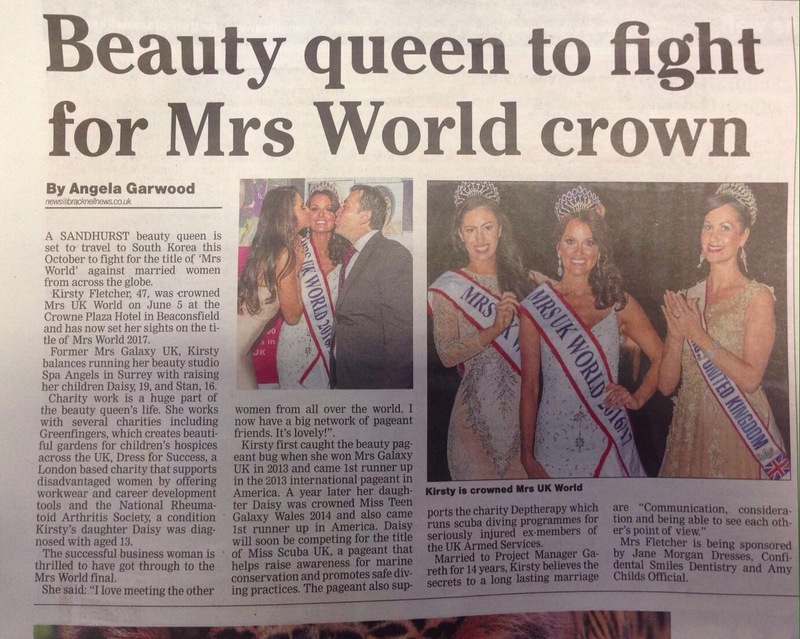 The highlight of my work experience would have to be having my name in the paper. Multiple times. I did NOT expect to be writing so many articles and for them to be published in print. My Dad’s study is coated in newspapers so to add a few of my articles to the pile feels quite special. Every time I do any form of work experience I get this career-carousel that gets going in my head and I go over and over what I should or shouldn’t pursue. I can normally stop myself before it becomes tear-evoking but my tiredness got the better of me this week and I weeped for a good five minutes one night before going downstairs to seek comfort from my poor father. We had a good long chat. He always knows what to say. His patience and understanding meant the world to me in that moment. He knows I get frustrated, not knowing exactly what I’m doing, – but makes me feel like THIS IS OKAY, THIS IS NORMAL. He reminded me that you can’t work everything out in your head. Answers come from engagement not thought. It’s very easy to get carried away wondering ” I could do this or that or the other”. Mild contemplation is quite healthy but overthinking is not. So thank you Dad for always having the kind words, when I myself can’t quite muster them. Posted in 5 THINGS and tagged career, happiness, happy, journalism, LIFE, lifestyle, meditation, mindfulness, motherhood, mummy, personal, single mother, work. Bookmark the permalink.